A paring or slicing knife is essential in every kitchen and our range of brightly coloured, black, red, lime green or pink knives are gorgeously designed and ideal for all sorts of slicing and dicing. 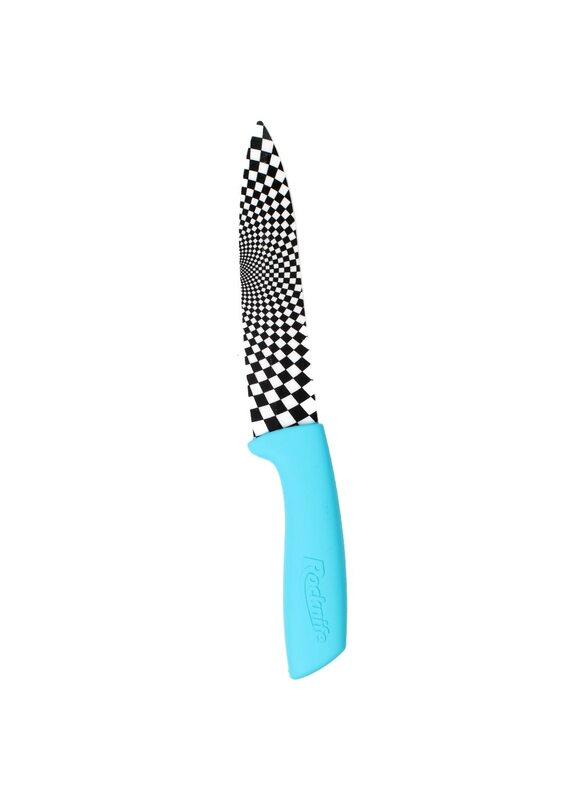 A 5 inch kitchen knife is particularly suitable for vegetables like potatoes, tomatoes and carrots, courgettes, onions and all your regular vegetables, it is equally good for fruit such as oranges, pears, melons or lemons. The ceramic edge won't react with any food acids and so won't leave any residue as it slices through cleanly. 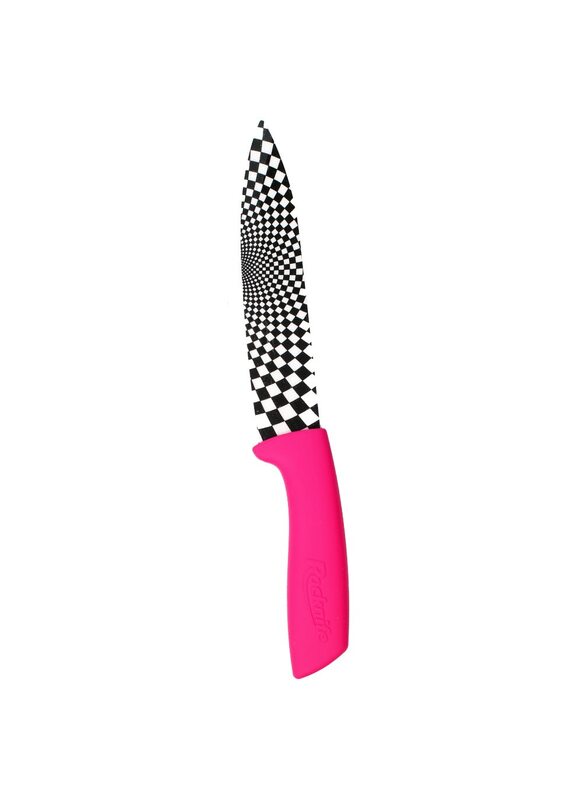 The result is food lasts longer and stays fresh after being chopped. 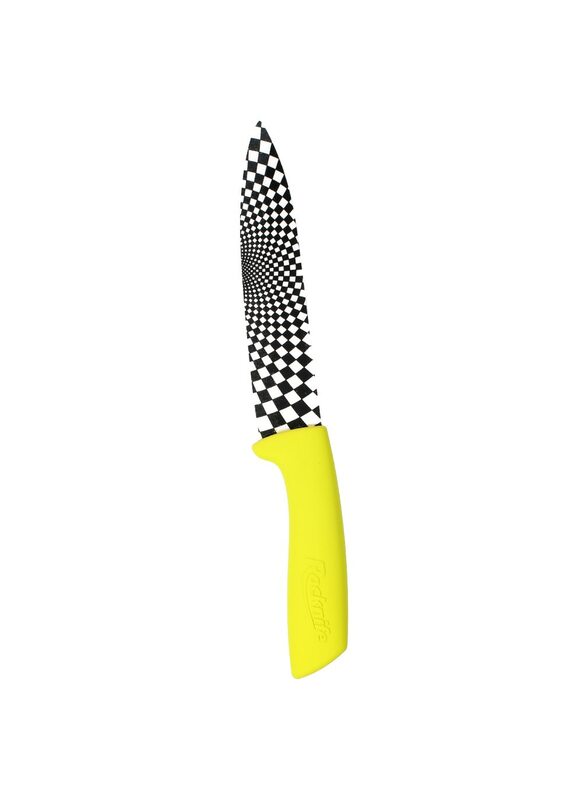 With a specifically designed handle the 5 inch chequered design is an absolute talking point in any kitchen, your friends will all want to know where it comes from. 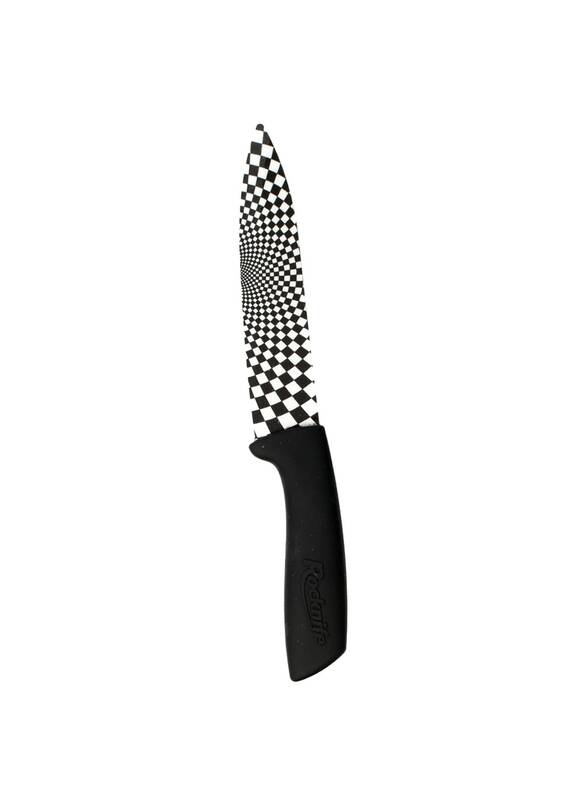 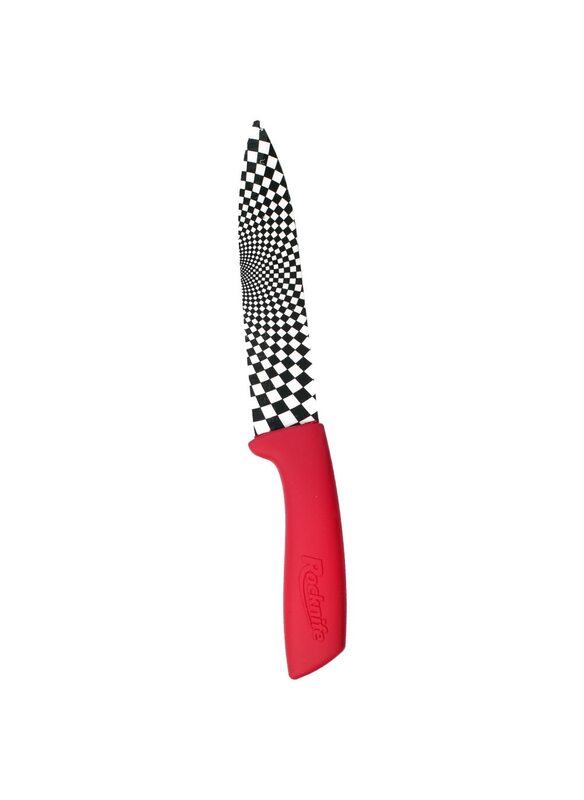 Dishwasher proof and easy to wipe clean every knife comes with a protective cover for storage. 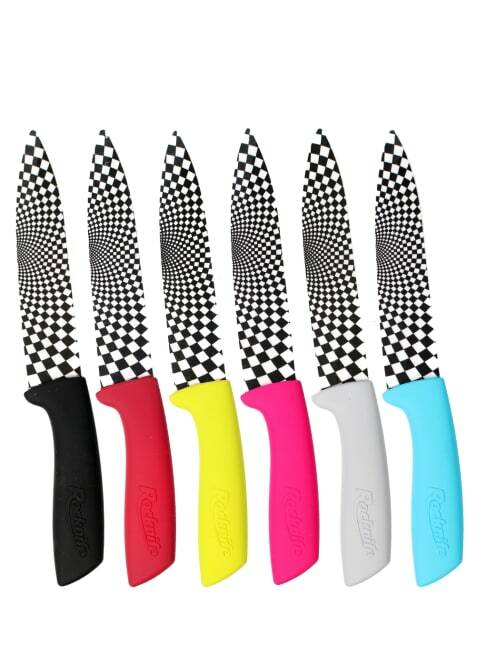 Cool grey, aqua blue, black, red, lime green or bright pink we have every colour suitable for all kitchens depending on what sort of statement you want to make.